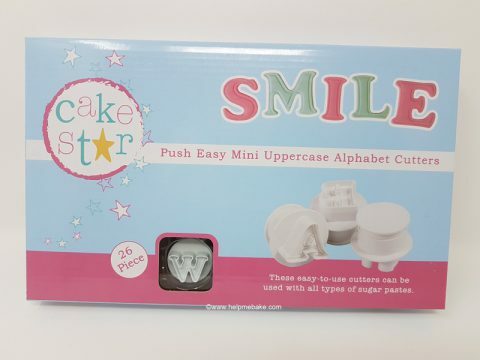 These Cake Star Push Cutters are simple to use alphabet plungers, and although they’re a little bit expensive, I’ve found that they are worth the investment. 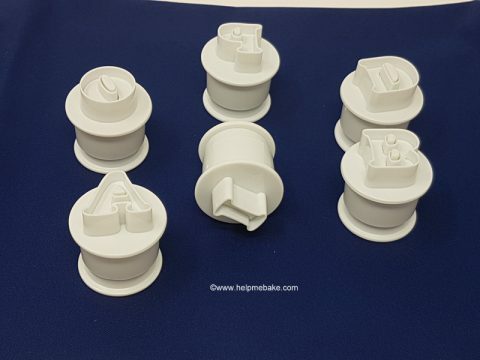 Not only do they save me time with letter cutting, but I have also used them on my last three cakes. I purchased the Mini Uppercase versions as I had read reviews that the Upper Case ones were a little on the large side. 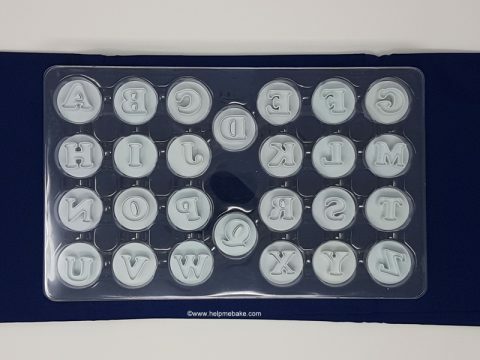 The cutters come neatly packed in a slot of 26 letters. The plunge cutters themselves are approximately 34mm high x 32mm wide.